Did you know that Nashville is one of the worst cities in the US for allergies? Well, at least people say its true. And Matthew definitely has them. This year they haven’t been as bad thanks in part to our new air purifier, the Oreck AirInstinct, which I was fortunate to receive for free at a special Nashville blogger event, where they debuted this fun video. We have never had an air purifier before, but I can tell you, we will always have one now. The Oreck Air is amazing. We have it in our living room, just outside the kitchen. I am always amazed that when we really get cooking, the Oreck Air kicks in to “clean the air.” It’s awesome. The air when you walk into our house really does seem cleaner. Plus, I love that the filter will last for three years, which is so cost effective. It’s powerful and efficient. The most powerful air purifier Oreck has ever offered, and it is ENERGY STAR® qualified. It’s smart. It actually monitors the dust, pollen and smoke in the air passing through the sensor with its APS™ (Automatic Particulate Sensor) technology. Based on what the APS detects, it turns the air purifier from low to medium to high (automatically, so you don’t wonder what setting to use), and pulls more air in through its fan.The four-color lighting system tells you that it’s working, pushing cleaner air back into the room. It cleans. Its three-stage PATH system reduces odors and captures 99.97% of the particles (as small as .3 microns) from the air that pass through its filters. It’s whisper quiet on low setting or can provide white noise, depending on the setting. It’s built to last. Oreck backs the AirInstinct 200 with an amazing 5-year limited warranty. Today, I am thrilled to give an Oreck AirInstinct away (a $399 value)! Leave a comment with how this air purifier would help you/your family. Subscribe to The Mom Creative via RSS or email (Just enter your email address in the box at the bottom of this post. You’ll get a $25 Paper Coterie credit when you do – so everyone is a winner!). Current subscribers simply leave a message that you already subscribe. The winner will be announced on May 13. Disclosure: Oreck Corporation provided the prize for the sweepstakes but is not the sponsor of the sweepstakes. Affiliate links used in this post. Next article: Free Mother’s Day Card! I can agree…Nashville is bad for allergies…my son-in-law lets us know every time they come:) We used to have a purifier and it really does help. Would love to use one again. My husband is asthmatic and has allergies so I think this would really help my family by keeping him out of the hospital more! We average 1-2 times a year in the hospital with him for asthma related issues. Would love to try this and see if it helps! I have asthma which is brought on by allergies. My son who is only 2 1/2 is already showing severe signs of allergies. I fear Claritin will always be a part of our lives and I’m not a huge fan of taking lots of medicine. Oh… and I live in Nashville… so I definitely know what you are talking about. This could potentially change our lives. I’m following Oreck on Twitter. 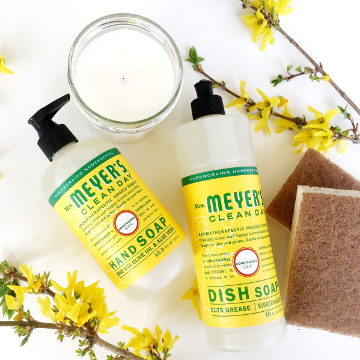 My son and husband both suffer from allergens, so this would help to lessen their allergies. Our family of four (and two cats) lives in a tiny apartment with VERY old carpet and I have- you guessed it- allergies and asthma. I would love to find out what clean air feels like! I would to have an air purifier in our home! My husband and my daughter have seasonal allergies and this would be wonderful to have! We live in Nashville too and you are right about the allergies here! Thanks for hosting this giveaway! I am actually leaving a comment in hopes of winning this for my cousin. She is a single mom with severe allergies and her 3 year old son also has them. She is recovering from a 8 week hospital stay and I know that this would help alot with both her and her son’s allergies. I subscribe and love all the information you share! My husband has horrible allergies so I know that this would really help him. You know now that I am home….I usually always have allergies coming down there…not a problem at all after our stay !!! Yeah , this is a fabulous giveaway !!! My allergies and asthma are insanely crazy. I have had wheezing problems and coughing for the past month or so. My doctor keeps saying I need to try to get a purifier so this would be perfect! I subscribe to your e-mail! My husband suffers from asthma and allergies and this would help him tremendously! I am a current subscriber! Our family has several pets. I’m a bit allergic but the kids love them. This would really help me to live a healthier life. I already subscribe to your wonderful newsletter. I would love to have the Oreck AirInstinct. If it would help my allergies that would be amazing ! I live in Nashville as well, and have never used an air purifier. I’d love to see what a difference it would make! I would give this to my mom if I were to win, she has ashtma and this would greatly help her breathing! This would be great to have for the kids. We definitely could benefit from the Oreck AirInstinct. Both my toddler boys have allergy issues, and my husband also has allergy problems. Thanks for such a great giveaway!! This would be so great for our family! We have a 5 month old who seems to have inherited her allergies from both of us. We have 2 cats that just can’t seem to keep their fur to themselves, and frankly…I have a 5 month old. I don’t really dust. Um. Ever. I already subscribe, and I would love to have an air purifier. We are in Austin, TX, another bad city for allergies and our whole family suffers from them. I would really like an air purifier. With three children and the knowledge that clean air is so important for health, I have wanted one but have not been able to make the purchase. Thank you for the opportunity. This would be WONDERFUL to have in our home. We have had a very hard year with our 3 year daughter, Claire. She has been sick all winter and suffers from asthma and allergies. Hope I win! I have bad allergies too and we always have an air purifier running at night,but I don’t think mine works that well. I’d love to win this to get a good one! Thanks! This purifier will help in the winter months when it is too cold to air out the house with the windows open! We’d also love it to keep the cooking smells down from the kitchen. With nine people going in and out of our home all the time, the dust comes in much faster than we can get rid of it. I love the flurry of activity, but the dust is getting to me! We would all breathe easier with this air filter! That would be a dream come true for me! I’m a single mom and I live with my daughters in an apartment above a smoker. The smell seeps in everywhere! Thanks for offering the chance! My oldest has terrible allergies and we found out that this year. It has been very hard to see her struggle so much. This would help her out so much. My yongest son’s allergies are killing him this year. He could really use this to help us get through the season. I also subscribe via email! I am a subscriber via email to your blog. My husband and I have very bad allergies and this would help us so much!! We recently moved and my daughter’s room is smelly and she wakes up sniffling now. My husband man often suffers with allergies as well. We would love to try and have this product! Thank you for the opportunity. I have already subscribed to e-mail. No facebook or twitter account. I would love to win an Oreck Air. My youngest daughter who is 1 has suffers from asthma. This system would allow us the chance to keep our pets and have a safe house with clean air for our daughters. I have bad allergies & living in Manhattan with all the construction makes them worse…I would LOVE to win this!! Great giveaway! This would really help with our allergy troubles. Both my husband and I plus one of our daughters are really suffering this spring. I’m already a subscriber to The Mom Creative! Thanks for offering this great giveaway! My family could really benefit from an air purifier…well actually my youngest would benefit the most. He has had allergy issues since he was born, spending several extra days in the hospital when he was first born in the nursery. The spring and fall are the worst and his allergies can often turn to pnemonia if we don’t keep a close eye on it. I have always thought an air purifier would help to keep his allergies in check but it has never been in our budget to get one and insurance won’t help pay for one. I also subscribe via email. Oh my word – I just started allergy shots and had sinus surgery 1 1/2 years ago because my allergies are THAT bad. This would be AMAZING! We’re also looking at buying an old farmhouse – and an air purifier would make such a difference for me. I’m pretty sure my 3 1/2 year old daughter has allergies too, so this would help us both breathe easier. My son and I both have allergies, so this would help tons. The added bonus, would be getting rid of all the cooking smells. While I love to eat, sometimes the smells, left behind, can be a bit much. I have terrible allergies as do two of my daughters. Both of them suffer from reactive airway disease, which is similar to asthma. We live on a ranch in the dusty, desert part of Nevada and I would be very curious to see if this helped us! 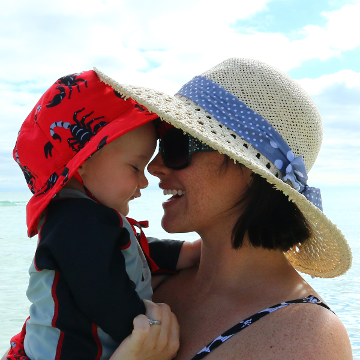 I just subscribed, to The Mom Creative (themomwithmoxie [at] gmail [dot] com). Just followed Oreck, on Twitter (@BreeGlenn). I am already a loyal subscriber. Our 15 year old has asthma and seasonal allergies and is quite miserable at times. Would love to see if a purifier such as this one would help ease his misery. Thanks for the opportunity. oh my goodness! what an amazing giveaway! my whole family suffers from allergies too… I never had them until the past couple of years and they are terrible!! this would be amazing. thanks!! I live on a dirt road in South Georgia with 4 kids that have horrible allergies. We have tried all kinds of air filters with no avail. But I have heard great things about this one. We would love it! My entire family deals with awful allergies, but my oldest son is five has very bad asthma brought on by his allergies. This purifier would help so much. My husband and 10-year old son have horrible allergies. (And yes, we live in Nashville too!) They take Claritin daily and they still have issues with their allergies throughout the day. This air purifier would help our family tremendously. Thanks for the chance to win! We moved to a horse farm last year and my daughter and I haven’t stopped taking allergy pills yet. I’ve tried other air cleaners but always end up disappointed. It would be amazing to receive this and help alleviate the allergens that are keeping us miserable. Just this past Saturday, my 18 month old woke up barely able to breathe. We had to rush him to the urgent care. We were told he has asthma, and it just decided to hit him full force. I again had to rush him in just on Tuesday, because even after having his nebulizer with albuterol, he could not open up. Terrifying. My oldest has horrible food allergies that I always worry about, & now my baby has P.A.D. And we have to have a nebulizer with us at all times. Kinda bummed. I would love to be able to come into a clean air home, knowing that my boys can breathe freely & healthy in the place they are supposed to feel most comfortable. My three sons and my husband all suffer from seasonal allergies. This year is worse for some reason than years’ past. Our middle son can’t leave the house without his eyes swelling up. And the mucus! OH! The mucus. So, of course, this sleek little racecar of an air purifier is intriguing to me! I would love to see if something so unobtrusive could make a difference for us. Oh, and I am also getting your blog on my facebook page and I get your blog sent to my email. Thanks for this opportunity. Wow. I have been searching for SOMETHING that would help with allergies in our house. My daughter has struggled with allergies her entire life (she’s 6) and it usually manifests itself in the form of chronic coughing. I would love to get my hands on this product to see if it would help! Thanks for the opportunity! I have terrible spring allergies, and an old house that I swear is always dusty. This would definitely help my allergies, and even keep our house a little cleaner. I agree that Nashville’s very bad for allergies. 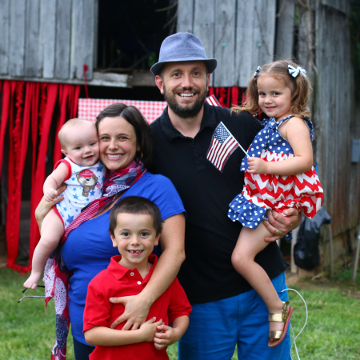 I know between my husband and I and my kids we all have problems multiple times of year. Thanks for the giveaway!! Already subscribed to Mom Creative and LOVE IT!!!!! What a wonderful giveaway. Our three daughters are allergic to everything outdoors and my oldest suffers from asthma as a result. This would make all of the time we spend indoors such a bettr place to be. It’s hard to tell your kids they can’t play outside because of something they can’t see or understand. Oh my goodness! We live in Austin Texas and my son and I have pretty bad allergies. I used to have one of the big hepa-filters, but they kept breaking and the filters were awful to change etc. Anyway, my MIL has a little Oreck filter that she got with her vacuum and she loves it. I would be sooo grateful to win this!! P.S. I love reading your blog and have taken advantage of a bunch of the great deals you share on here so thank you!! Dogs and kids and allergies, our home could definitely use this! Already subscribed to Mom Creative and love the website. I look forward to each and every post. Thanks again. My wife and I have a special needs daughter who has intractable epilepsy and respiratory issues. She and our two others are the loves of our lives and we would use the Oreck to circulate clean air to our sweet Makenna Eden. What a great looking machine. We are just recovering from allergies this past week and this looks like a great solution to help us through those seasons. I also have allergies (probably dust) and I will definitely put this on my “wish list”. Thanks for showing us this product. My husband and I both deal with seasonal allergies, but we also have a dog and cat. We like to have friends over, but it seems that most of them are allergic to dogs and/or cats. I’d be curious to see if the Oreck Air would work for pet odors, dander, etc. I subscribe to The Mom Creative via RSS. My daughter and I have developed new allergies over the past year. I am miserable. On my 4th doctor visit today seeking some help. would love to have this in our home since the hubs, baby girl and myself ALL struggle with allergies! Seasonal allergies have been bad in Memphis this year, too! The kids have running noses–and they are too young for Loratadine! My husband and 2 daughters all have bad allergies, I would love to try this!! My two babies (8 months, 2 years) have nearly constant runny noses that we attribute to allergies. Would love to give this a try. My poor boys have allergies so this could really help! I am already a subsciber. Ever since my mom was diagnosed with breast cancer, she has become very sensitive to ‘things’ and odors in the air, so she has always kept an air purifier in her room to help her breathe in good, clean air and to feel healthy. We have had to replace the filters in her purifier several times (she has been in remission for a year and 5 months, by the way! Woo hoo!) since we first got it. It would be nice to have a purifier for her that only requires a replacement filter every 3 years – wow! This would help clean the air in our house and hopefully keep all the allergens away.. We would love to have this into our house. I love creating a home that allows anyone who enters to find comfort, rest and a breath of fresh air. Even though my house is full of comfort items like soft throws, comfy chairs and scented candles it is hard to avoid the second hand smoke that comes up our air vents from our neighbors below. Perhaps, Oreck Air would be the perfect solution to create that fresh breath of air! Already subscribed & tweeting! I followed Oreck on Twitter. We live in Austin. Holy allergies batman! Add in two cats and a dog and, well, our medicine cabinet is crammed with allergy meds. I already subscribe on google reader. I’d love to have an air purifier in our home. We have never had one. I suffer miserably from allergies and I’m starting to see signs of them in several of my four children. Plus I do daycare so there’s lots of little germies floating around here. I tweeted @CMJohnson5 about the giveaway!! My husband is a cabinet maker so he brings home a lot of sawdust and dust particles from stains, finishing sprays and sealers on his clothes. We have a lot of people who spend time in our home and it would be wonderful to have something to make it more comfortable for friends and family with allergies. An air purifier would be great for our family because it’s so humid in Louisiana we have to keep the house sealed up with AC in the summer. A purifier would be great to make it feel a little fresher. I also subscribe via RSS and already took advantage of the Paper Coterie gift card. Their shipping prices are SO HIGH I almost balked, but I decided it all evened out. Thanks! My mom – and her 2 cats – are living with us, and my husband is allergic to them. We could definitely use this! Wow, I have a husband with bad allergies along with five daughters who inherited his allergies…an air purifier would be amazing! Kansas has pretty bad allergy seasons as well!! We’ve just learned that my 2.5 year old has a BAJILLION allergies. In addition to several food allergies, he’s also allergic to everything that floats in the air. 🙁 This would be a HUGE blessing! i’ve never used an air purifier either–but my husband’s allergies have been horrible this spring. he’s already been sick three times since january! this just might help. Wow, an amazing give away. I think WA state could battle TENN for top allergy. I have slight ones, but had no trouble in TENN when I was there. Anyway, my son suffers greatly. Everyone I know says we need a purifier and we’ve tried a few that have been gifted to us and I’ve not been impressed with the whole set up. This one sounds GREAT. i now subscribe to you. I would love this for my house. I think it would really help with our seasonal allergies and having 4 kids. Amazing, I live in Arizona where we get horrible dust storms and I can literally taste the dust in our house when they come. This would be awesome in keeping my house cleaner! Awesome giveaway! This would be great to have in our house and it looks like it would be portable enough to move to the basement/playroom when we are downstairs! Thanks for the chance to win! I am subscribed to your blog’s email feed. Thanks, again, for the chance to win! We live in an area where my allergies can flare up and an air filter would help a lot. I love how compact it looks too. I have 2 young children and having extra clean air is important for them too!! Thanks for having this give-away! I am a current subscriber to your daily emails. What a great giveaway. We could definitely use something like this. All four of us have allergies, and my son (15 months) has asthma and so does my husband. We live in a high-pollen area. I would love to have this purifier for my home! My daughter has mild asthma & has to do breathing treatments in the winter. This would help her a ton. I had no idea that Nashville was that bad for allergies. That explains a lot. My husband and I both have them…and this would totally help. Knowing that my husband and son have allergies i have recently discovered that I have super bad allergies. Been tested and yikes…no wonder I can not breath or swallow right! This would be such a great way for the air to be cleaner and me to have my days feeling better! Maybe this would help the chronic hives I have from these allergens as well…that would be a godsend!! Both my girls seem to have chronic coughs, and I’ve wondered if it’s allergies (or a too-dusty home!) This would help! I would love to win this! I have a 20 month old and a dog that sheds all.the.time. during the summer months. This air purifier would definetly make breathing a bit easier in our house! My twelve year old has terrible allergies that require two shots a week and she has to take 2 pills and use 2 inhalers a day. The allergist has urged us to purchase an air purifier, but we cannot afford one. This would be a blessing to win, so we can put it in her bedroom! We live in the South also, and can relate!!! I’d love one as we are adding a new baby in August and clean air is so important for all of my kids! would love this because we live by a busy street with lots of truck traffic. it will help clear the air from that dirt. Our oldest son has fits with allergies this time of year, so cleaner air is ALWAYS a good thing. What a benefit this would be! I follow @oreck on twitter! The air purifier would help me because my husband has allergies and I’d be able to sleep better at night if he weren’t snorting and wheezing all night! 🙂 Also, I can’t stand the smell of food in the house after I eat, so I would love it for that handy dandy feature as well! This would help us- we just moved in to an older home and all of us are showing signs of allergies! My boys both have allergies, and I think an air purifier would definitely help them! Both my daughter and I have allergies but lets focus on my daughter. Not only does she have HORRIBLE allergies, as in we carry an epi pen awful, but she also has SEVERE ECZEMA. I spend a great deal of time cleaning and sanitizing everything in our house but specifically in her room. I’d like to think an air purifier might help her breath better and scratch less. This would be such a blessing to win. We live in the midwest and my daughter and I struggle with allergies, especially this year. This product would help us breath easier for sure! I would love to win this for our home. We live in an old house and haven’t had the money to get some of the old dusty, moldy things replaced. Would love to see if the Oreck air would help us to breathe better and healthier! Thanks for the chance! We all suffer from allergies in our house, so this would be a huge help. Especially since we have a dog. None of us are allergic to *her* per se, but she brings allergens in on her fur and this time of year, she sheds like it’s going out of style! Cue sneezing, itching eyes, etc. Yuck. I know, I’m tired. Kyung is picking Tyler up around 4:30 then picking me up. No, I’ll buy the stuff, I bought it yesterday too but Kyung said we should buy it on the way. I have other things to pick up so no worries. Sorry my last comment was a mistake – darn copy & paste! Sorry! Could you delete? our neighbors smoke and we’ve been thinking of getting an air purifier, just never got around to it. I think it would go a long way in helping get rid of that smokey smell when we open our door to the common areas. Thanks! I have awful allergies…especially this time of year. The Oreck Air would be a huge help! I subscribe to the Mom Creative via email! I would love to win the Oreck Air purifier. We have two cats and I (unfortunately) am allergic to cats. I would love to win it to help clear the air of their dander. I subscribe to The Mom Creative. Oh, I would love to win this air purifier! For the past few weeks we’ve been talking about needing one for our little one, as she’s constantly rubbing her eyes and has the sniffles due to everything starting to bloom in the CA sun. We also have two kitties who are constantly shedding, which doesn’t help matters. The Oreck looks great! Oh my word, this would be awesome for our home! My two youngest both suffer from allergies. How awesome it would be to win this! If I don’t, definitely going to check them out!! Thanks Jessica! We all suffer from allergies at my house, Mom, Dad & 2 kids. My son and I also have asthma. The air purifier would help us tremendously in our home, especially when all the pollen is out, which is a big trigger for us. Another trigger is dust and dust mites, which we deal with year-round. Just being able to breathe at home more freely would be a huge blessing! I already subscribe. Thank you! It seems like my 14 month old constantly has a runny nose and I’m suspecting allergies (the rest of us suffer from them off and on). I would love to see if this helps her! I’m also a current subscriber via email! Nashville is a bad place for allergies, but the two worst places are Tulsa, where I was born…and the Central Valley in California where I live now…the air quality is so bad, we have mountains only 30 minutes away that we can see all winter long, big beautiful snow capped mountains, but during the summer the air quality is so bad that the mountains disappear! I’m worried that my kids will get allergies or asthma someday…so cleaner air in our home would be a great thing!! We had a really had series of floods inour apartment that led to mold in our walls. We had a lot of drywall ripped out, but I still smell it behind the cabinets and under the floor boards. My son and I both have asthma and this would add A LOT of piece of mind. Our entire family really struggles with allergies! Both of my girls are on the autism spectrum & we have recently mad the switch to all non-toxic, green cleaners and the purifier would help out tremendously! We have so much dust in our house and everyone’s been getting sick (related or not?). I know this would just help so much. I’m following Oreck on Twitter! I am also an email and RSS follower. I recently bought my first home and am doing my best to make it a safe and healthy environment. This spring has been particularly bad for my allergies, haven’t been able to open any windows and am still bothered. Would love to eliminate more allergens this way! i just followed Oreck on twitter! AND I copied and posted your tweet! AND I am subscribed to your blog already! I would use this for my work “family”…a class of 12 one year olds. The white noise would be great for nap and they deserve clean air! Three years ago I fell in love with a long-hair cat – even though I’m fairly allergic to cats. On top of my pollen allergies, I have to fight constantly to keep the house hair and dust-free. A really good purifier would help me in that battle! My daughter has allergies and this would help her tremendously! Living in dusty West Texas with three dogs and a prairie dog as pets, we could benefit greatly from this air purifier! Thanks, Jessica! I would love to get a purifier. We’ve got bad allergies too! With 2 cats and 3 dogs, you can bet we’d put this to good use! Thanks for holding this giveaway! And I love reading The Mom Creative! We all have allergy problems so I think this would be helpful in cleaning the air in our house and hopefully alleviating some of the allergies. My family would really benefit from this air cleaner! I subscribe to The Mom Creative on email! My husband, son and I all struggle with allergies and, with the pollens out in force in the AZ desert, having an Oreck Air would be a HUGE blessing! 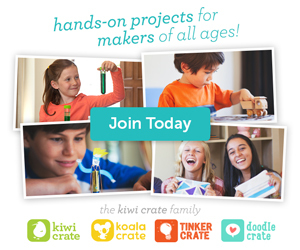 I am a subscriber of The Mom Creative e-mail! Following Oreck on Twitter. My Twitter username is HermosAZ. We’ve been dealing with the ravages of asthma in our home for 4 years. Our middle son nearly lost his life to a perfect storm of seasonal and dust mite allergies. We’ve done all the obvious things — taking out all the fabric, stuffed animals, and rugs in his room, encasing his pillow & mattress, and switching to a HEPA vac. So far an air filtration system hasn’t fit into the budget, so I’m keeping my fingers crossed! Just tweeted “Crossing my fingers to win @jessicanturner’s giveaway of the @oreck air. I love my home!” on my Twitter account at hermosAZ! We have allergies and a new baby… would love to have cleaner air in our house! My husband and I both have allergies to various things in our city, and now I am beginning to suspect that my boys do too. Would love a purifier to help with that! Also, I subscribe via rss already! I have horrible allergies that just started after my last pregnancy. I am pregnant again so unfortunately I am unable to take any medication that actually helps. I think an air purifier would be a great help! I also subscribe to the Mom Creative! It would be great for my seasonal pollen allergy! And maybe it will help with hubby’s snoring…? I can only hope! I subscribe to The Mom Creative! We have seasonal allergies, and this would be so helpful. I would give this air purifier to my best friend who lives in an old house – they suffer from illness consistently due to mold in their basement and poor air quality in their house. This would help them SOoooo much! Have two little ones as well, 3 and 7 months. Plus we have a dog who sheds like crazy! My baby has had tons of runny noses since she entered this world, so I know cleaner air would do her wonders. And we live in Houston, which of course has terrible air. I have a sweet baby who constantly has a stuffy nose (thanks illinois plants!). This would definitely help him. We are so blessed to not have any allergies in our home between my husband, me and our three kids. However, I love fresh air and my husband would much rather close up all the windows and crank up the air conditioning. I think this air purifier would make me feel better about being “shut in” since we are surely wasting energy opening and closing windows after each other! I subscribe to the Mom Creative already! Just followed @Oreck on Twitter (@Lyssa_mom)! A must have because my allergies are driving me crazy! My son has allergies and this would be so helpful. The pollen season in NC is atrocious! I would truly enjoy living without its intrusion of our home, and the residual cooking smells and sweaty little boy smells can go with it! The dust! The cat dander that gets everywhere! The pollen from the tree outside our front door! Our family would so love this! I live in southern West Virginia, in the heart of the Appalachian highlands thought by many to be the second only to the tropical rainforest in its biodiversity. These mountains are beautiful and I love them dearly. They are also filled with things that make me sneeze. we are expecting our first child in the fall, and with two shedding dogs and the oklahoma wind pushing dust and dander in our door every time we open it, i’ve been searching for a good air purifier for the nursery. this looks perfect!! And I subscribed, by e-mail. My daughter,who is 10 was recently diagnosed with allergies & asthma. Thus, I think this air purifier would really help her. I have severe allergies and a dog! This would totally be useful in my house! What an awesome giveaway! This air purifier would help my family big time. I have allergies in the spring, my oldest daughter has summer allergies and my youngest daughter has fall/winter allergies. So someone is suffering year around! I would never be able to afford this on my own, so having a chance to win it is awesome! Thank you!! My niece has terrible allergies! She spends at least one day a week at my house, where she struggles constantly. It doesn’t take long for her to turn into a sneezy, sniffly, puffy, disaster! I would love to think having an air purifier like this might help her feel better when she comes to visit! I am already a subscriber to your site! I would love to win one as this would help with my allergies. Also, I subscribe to you through email. That would definitely help us in southwest Missouri with allergies. My toddler and I both have them! We never had allergies until we moved to Nashville! With 4 kids in our home, this would work miraculously! Thanks! I’m following @oreck on twitter. We are just North of Atlanta, and while it’s so nice to have trees, they wreak havoc on our noses and eyes. Unfortunately my son gets the worst of it, and he’s a baseball player, so he has to be outside some. Would love to come inside to some healthy clean air for relief! I can definitely say that Nashville is one of the worst places I’ve ever lived for allergies. After living here for 5 years, I had to have sinus surgery last summer, just to find relief from the constant sinus infections because my allergies were ALWAYS flared up! An air purifier would help me out SO much…and maybe even help prevent my toddler from having allergy issues! We have cats and allergies. This would be a lifesaver! I would love to win this Oreck air purifier because my husband has severe allergies, and so does my son and also asthma. This would be a great help. Also because Oreck makes dependable products. I subscribed to The Mom Creative! My 3 year old son has been struggling with breathing and such most of his life. We have removed his adenoids in hopes that it would help. He finally got diagnosed with severe asthma and is allergic to all trees/grass/rageweed, etc. This would be wonderful for him. I Subscribe already to the emails. This would be an amazing thing to win!! Both my kids (and my husband and I) suffer with allergies. My poor 10 month old little boy has been sick with allergy infections/bronchitis/ear infections/RSV, etc more than he has been well. =( No fun! Email subscriber … Love it! The air purfifier would help my family breath again. We all have allergies/asthma, sinus infections!!! Please God!!! I subscribed to Mom Creative! Thanks for the great giveaway! I followed @oreck on twitter (@becklawson!) Thanks again! We moved into a home that was a foreclosure, and have spent the past year fixing it up. We still have HUGE issues with dust, allergens and pet dander in the air-this would help us tremendously!!! 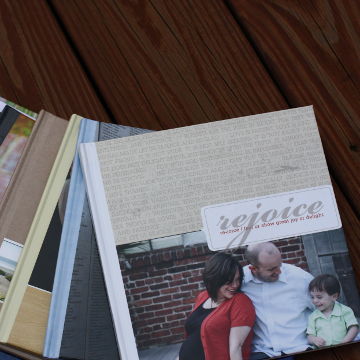 I would love to win one….everyone in our family has allergies so this would be perfect for us! WOW! that would be amazing for my asthma/year round allergies–I’ve been an allergy sufferer since I was a child and I’ll never forget my parents doing the yearly washing of all the walls, baseboards, etc. in my bedroom just so I could sleep, gotta love them 🙂 thanks for the chance to win! From what I’ve heard from people who have moved from out of state, New York is pretty bad too! My son was recently diagnosed with severe asthma and airborne elements, amongst other things, has been a trigger. There is nothing I would want more than to make sure I am doing everything possible to make our apartment air cleaner! My 4 yr old has severe allergies and nosebleeds, we would love the opportunity to recieve a Oreck. thanks jessica! Oh my goodness, my entire family has issues with allergies. Mine are pretty much year-round (multiple allergies). 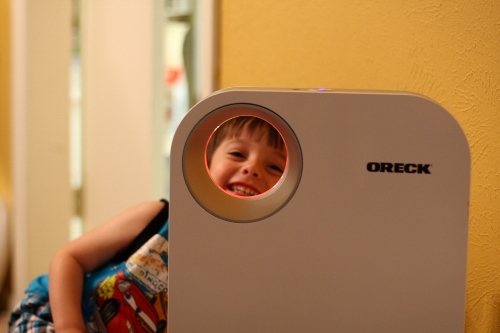 An Oreck air purifier would help all of us breathe so much better! My daughter has ashma and my 18 month old has been so sick this year and is about to go through allergy testing. We have talked about getting one of these, so winning one would be fabulous! I subscribe to the Mom Creative through email! Also I subscribe via email! We also have terrible allergies, so this would be great! My husband and daughter have THE WORST allergies and they are always sneezing, etc. This would help SO much! Thank you for the chance! my little 19 month old baby girl is on a nebulizer.. anything to allow her to take less treatments will be wonderful!! I am a ‘The Mom Creative’ RSS subscriber! I’d love to have this because I’m starting to get seasonal allergies, our house is old (109 this year), and we have a 2 year old. We have an older home so this would be a great thing to have. I think this might be helpful for my son who has very bad allergies. Over the counter meds do not even work for him. He is on all prescription meds. I never thought about an air purifier so I found this so interesting. Thank you for posting & for the opportunity. I already subscribe. This could defibitely help with allergies. We thought it would be better in CA but turns out this areas leaves us a stuffy mess too. Boo. I have allergies and this would be very helpful – especially now when the season is gearing up to be bad here!! Thanks for the chance to win! This might help me. I have been told not to play outside with the kids, never open the windows in your home, keep ac running, and this spring started using a nebulizer daily, to keep my sinuses clear, I wonder..,. I already subscribe to TMC! I live in one of worst cities for allergies as well! Lexington, ky which is right by Louisville, ky who is number 3 on the list of top 10 worst citites for allergies. I suffer from seasonal allergies and would love love love to have one of these!!! Would LOVE this! Most of my family has seasonal allergies (which are hitting their peak season right about now) and we could all benefit from this! Yeah! Maybe the dust bunnies will become less with this! And in a perfect world, I would no longer have to clean??? I think it would really help with my familys allergies! I would love to see if it helps my 7 year old and I who both have asthma and allergies. Thanks for the chance!! My 2.5 year old has horrible allergies- he is on Zyrtec & Singular daily for them. I’d love to have this to help him breathe better & help us reduce his medicines!! Thank you, Jessica! I would so love the chance to win this Jessica. With a week so far that has gone from bad to worse. It’s been in the 90’s here in NC. Our AC gave out (Over $1K) hard to handle with asthma too, then our outdoor freezer thawed completely today full of food 🙁 no telling how much to fix that) This machine could help my asthma and the white noise could drown out my neighbors dog that wakes me at 5AM regularly! I had allergies as a child and they are only seasonal now. My husband seems to have developed them too. We have two young daughters and would love to prevent illnesses from happening to them. With 2 kids, 2 adults and 2 dogs we always have allergens in the air. My daughter 5 yrs old and husband deal with Allergies. My daughter deals with Asthma/Allergies and chronic ear infections! 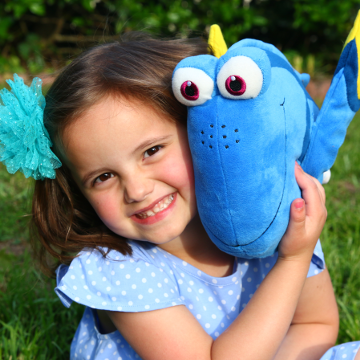 She just finished another ear tube/adenoid/tonsillectomy surgery 3 weeks ago and this would be awesome to have in our home….one less thing to worry about for her 🙂 Thanks!!! My husband and my daughter suffer from allergies. My husband works around allergens daily, and it would be great to have clean air at home! Today on the front page of our newspaper, it spoke about how allergies are worse this season since we had such a warm winter! Our family just moved here and have boxes of Kleenex in every room. We would love to breathe clean air and not to take so many pills! I just subscribed last week! We live in the woods and have 8 dogs (will be 9 tomorrow). We foster dogs for a rescue and have 7 of our own. Dust bunnies live at our house, too. Always changing the air filters and vacuuming to help with dirt. Trying this purifier would an added plus for our family allergies. my daughter has asthma and it would be great if i can try this. maybe she does not need to take as many medicines as she has now. thank you for the chance to win! What a great giveaway, thanks for the chance to win. We live in TN as well and the air can be awful at times! This would be awesome and would help my husband and daughter so much! Thank you!! Cleaner Air = better breathing = healthier living. Great giveaway!! I would love to win this. Allergies are awful! My husband & oldest have bad allergies & I think the middle one is following suit as well. This would be great for our house! I would love this air purifier for our home! We have a cat, and I’m always worrying how his litter box affects the house – especially with our babies. My husband and I could use this air purifier to change our life! My husband’s brother has cystic fibrosis and it is not possible for him to come to our house for any family gatherings or holidays or any time at all because of our two dogs and dust and dander. When he stops by he has to stay out in the garage or deck to visit us. It iis an older house and we do our best to clean, but there are so many nooks and crannies it is hard to keep up with all the dust and dander. My husband has asthma and even one of our dogs developed bronchitis recently from allergies! Poor thing was on antibiotics for 2 weeks… So what I’m really trying to write is thanks for the opportunity to win this purifier… It will allow our family to be able to be all together again and all breathe fresher and cleaner air while being able to spend time enjoying life… It goes by too quickly, especially when a family member has such a horrible disease. Thanks again for consideration. Hubs & I both have allergies. This would be fantastic! This would be great for my family! 2 adults, 2 kids, 2 cats, and 1 dog= a dusty house. This would help out a lot! I have had TERRIBLE allergies. Nashville has been the WORST this year! I would love to have a purifier that doesn’t need filters replaced constantly. Definitely needed in my home! I also tweeted your sweet little statement, lol! I would love to win this air purifier because my husband has a severe allergy to dust, plus chronic bronchitis, which has led to COPD. I think an air purifier like the Oreck would be such a help to him! I just started getting allergies and it’s hard to get work done around the house with them. This would help me get more done and also save me from having to buy one myself. wow i could give away te one that i have now that makes too much noise, and sleep more soundly at night. My son thinks he always has a cold. I wonder if this would help. Great giveaway! I have seasonal allergies and would love to have the Oreck Air. Also, my good friend has really bad allergies and I would consider giving it to her as a gift if I win it. My son has asthma and this would help him breath better. Thanks for the chance to win. I subscribe to The Mom Creative by email. I have pets and allergies so this would really help me. This would be great for both kids – be especially my daughter. We have allergies and would love this! We live in a rental so it would really help us to clean the air in a place that we don’t know exactly what might be in our home. I have a comprimised immune system because of MD and severe Psoriatic Arthritis, so it doesn’t take much to make me sick so I have to be careful. Allergy season is the worst for me and it lasts so long where I live, Matthew’s home state I believe. I have struggled with allergies since moving to this area many years ago and not much has worked. If the Oreck air purifier works as good as their vacuum does I’d be one happy camper! 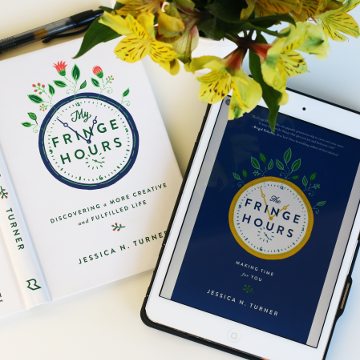 I’m a subscriber to The Mom Creative! I am following Oreck on Twitter. My husband had promised my daughter she can get a cat this summer. While I love cats and look forward to getting one, I am worried our house will smell like cat. So ths would be an amazing thing to win! Thanks for the chance! Our entire family has allergies and sensitivities and we live in an area where there is always pollen. I am already a subscriber to the blog. An air purifier would greatly help our family as we have many sensitivites to chemicals, products with fragrances, and other allergens. Our home is our refuge. Thank you for the chance to win! the air purifier would help my family a lot because my whole family has allergies (husband and kids) we live in long beach ca, and the air is ok, but there’s a lot of dust and pollen i think that comes into our house. My little guy has allergies as well as myself, cleaner air would be amazing! My son has asthma and allergies and this would really help him. He struggles so hard to breathe at night that he wakes up in a pool of sweat each morning. Sounds like an amazing product! Thanks for doing a giveaway! We live in Charlotte,NC and it is SO bad here! My entire family struggles with allergies. My husband also has asthma sonyhis would be amazing for our home!!! I follow Oreck on twitter!! My son is currently being tested for allergies. This would be great for our family as our house has been smelling really musty since we’ve turned on our A/C this spring. Ick! I also subscribe via the Google Reader RSS feed. can you please tell me when the winner of this giveaway will be announced? there is not date/deadline listed on the post (that i can see). also, will the announcement be added to this post or published in a new post? (i don’t want to miss it.) thanks! I am a Children’s Pastor that lives in West Texas. We have almost returned to the seriousness of the “Dust Bowl” days here in West Texas. When my allergy to dust kicks in along with my other allergies, it makes it extremely difficult to be at my best for my family, and for all the precious 500 plus children enrolled in our Preshool and Nursery area at the church where I serve. I have spent much time and money at the doctor this past year dealing with lots of sinus and ear issues because of my allergies. 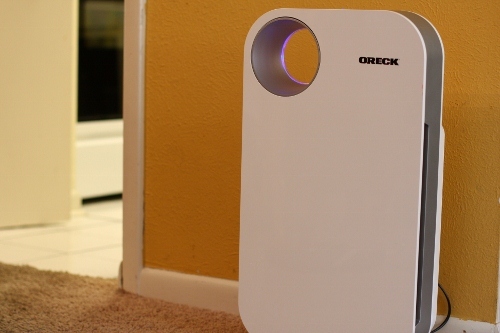 I would love an Oreck air purifier because I know the air we breath makes a tremendous difference. Both my husband and my 2 year old has asthma and so this would help keep our air in our house clean! Each of the 4 people in my family have severe allergies (both indoors and outdoors). All mattress and pillows are covered with special material to help block out allergens. My youngest son has asthma and it would benefit him the most. Heck, it may cut down on prescriptions for inhalers. My boys are 7 and 10 and they are both on allergy injections. I haven’t really seen an air filter system quiet like this one. I’d be glad to own one!!!! While I’m lucky that my allergies seem to be getting better as I age, I have two little girls who get hit hard with seasonal allergies every spring and fall. I’d love an air purifier not only to hopefully alleviate their allergy symptoms, but also filter out all that other environmental “junk” that’s out there! I remember reading awhile back that our indoor air is actually dirtier than outdoor air! I subscribe to The Mom Creative via RSS! I live in FLorida so all kinds of allergens abound! I sneeze lots due to dry air and allergies. This would help lots. Did this ever get given away? There are no deadlines on the blog. I assume so, but I’ll leave my comment here just in case. Both my husband and daughter have bad allergies, which can trigger asthma for our daughter. This would be great.